Made from Microfiber. 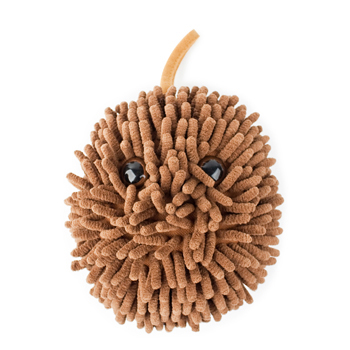 The multi-purpose Dust Monster cleans your computer screens, furniture and can even be used to dry your hands. Machine washable. Measures 4 inch dia.